Texas Instruments announced on March 8, 2010 the new TI-Nspire Touchpad and Operating System 2.0. 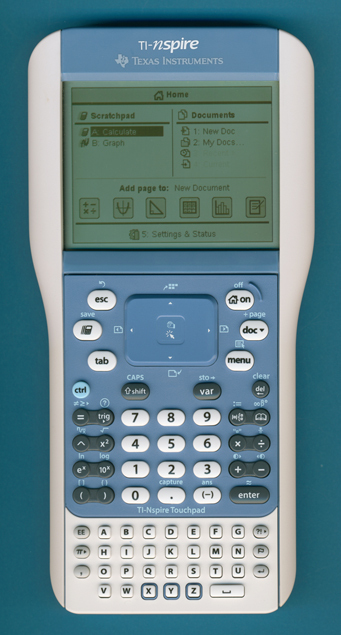 At the very same day an optional Touchpad was introduced with for the 1st generation TI-Nspire calculator selling for only US$ 10.00. Since the TI-Nspire Touchpad lacks a QWERTY keyboard it is permitted (as of August 27, 2010) for use on SAT, ACT, PSAT and AP exams.